No Reviews, Be the first to review this item! 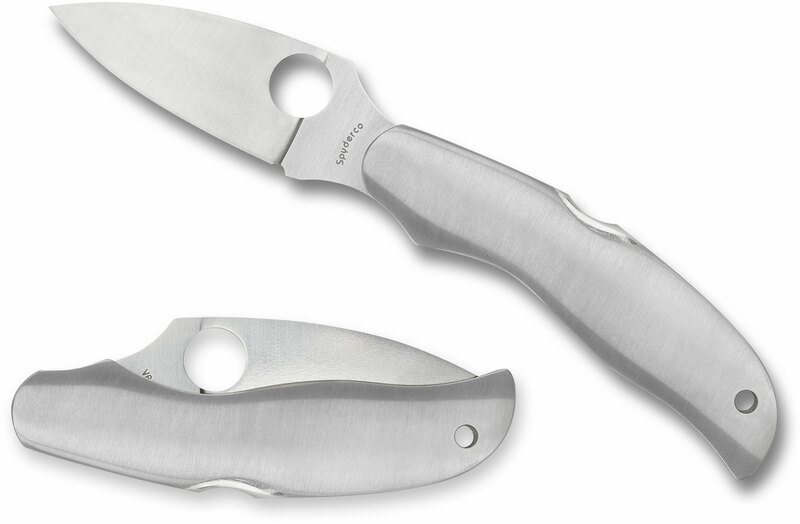 The Kopa was a prestige pocket knife designed to serve as a platform for a series of limited edition Sprint Runs, each featuring a uniquely different material for the handle scales. Between 2005 and 2009, 16 distinctive variations of the Kopa were produced in batches of only 600 pieces. Now, after a long hiatus, the 17th Kopa joins that highly collectible family. 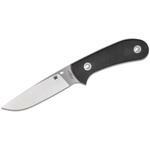 It features solid stainless rounded handle scales and a VG10 stainless steel blade. 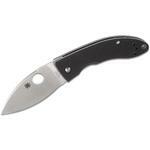 Spyderco Sprint Runs are limited edition production runs of items not found in Spyderco's standard product line. 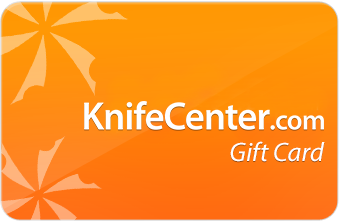 They may be unique versions of current knives or special expressions of discontinued designs. 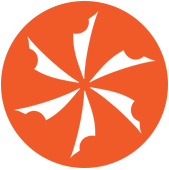 Every Sprint Run is a unique, one-time-only event. Once that knife is sold out it will not be produced again in that exact form. The lockback system has been used for many decades. 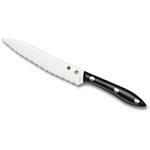 It can usually be found on the knife spine and it provides a strong lockup that will wear well. The exotic steel Capital of the World, Japan produces and innovates some of the best products, from pocket to kitchen knives and everything in between. Stainless Steel knife handles provide strength and durability and look and feel great. This Japanese super-steel is known for it's ease of sharpening, ability to take a super fine edge, and outstanding corrosion resistance making it one of the best bang-for-buck steels on the market. This item has not yet been reviewed, be the first to review this item! The item is not on our shelf, but we can get it in quickly. 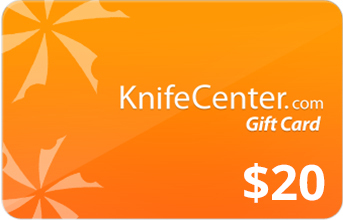 Sometimes we get it the very next day, but typically it will ship out within 2-3 business days..
Hey, I wanted to share "Spyderco Kopa Folding Knife 2.375 inch VG10 Satin Plain Blade, Stainless Steel Handles, Sprint Run" with you from KnifeCenter.